If I Might Interject: Will the Antichrist Catch Christians by Surprise? Many people tend to fall into the false dilemma of "either A or B." If the author speaks of the dangers of A, it's assumed he supports B. This article, an expansion of one I wrote in 2011, is not written with the intent of praising liberalism (which today embraces some monstrous evils and calls them good) but rather seeks to warn people to avoid thinking, "I'm not liberal so I'm safe." I've noticed that whenever someone writes a religious novel about the antichrist what normally sticks out is the political views of the author. Basically, the antichrist is seen as a charismatic liberal. The Christians who are faithful have a conservative bent. Modern Catholic takes on the subject tend to be similar to the Protestant "Left Behind" series. The remnant is conservative. An antipope comes to power who appeals to liberals and has to be opposed. Such a scenario, Protestant or Catholic, is one not likely to do more than physical harm to the conservative Christian. So long as you vote Republican you're safe from being deceived it seems. "Now the Spirit explicitly says that in the last times some will turn away from the faith by paying attention to deceitful spirits and demonic instructions"
"False messiahs and false prophets will arise, and they will perform signs and wonders so great as to deceive, if that were possible, even the elect." "Therefore, whoever thinks he is standing secure should take care not to fall." So it seems that the faithful can be deceived. I don't think that means people will be deceived into making a 180° change in their way of thinking. St. Paul warns in 2 Cor 11:13-15 that false apostles abound and even the devil can appear as an angel of light. The more I see how conservatives react to the Church teaching on Social Justice, the more I wonder if the antichrist will actually turn out to be some sort of conservative who promotes certain popular teachings and seeks to separate the conservative Catholic from union with the Pope who is portrayed as being in error. Certainly false seers like Maria Divine Mercy make such claims today. But Christ's promise was to Peter and his successors, the rock on which He builds His Church. He promised to be with His Church always and that the gates of hell would not persevere against it. It seems to me that no matter how far our society declines, the true Church will always be found in communion with the See of St. Peter. If one places himself in opposition to the Pope, regardless of how his politics might appeal to us, we cannot follow such a person. The devil doesn't have to turn a person into a radical proponent of abortion and so-called "gay marriage" to endanger his or her soul. It's just as effective to twist the values of a person just enough that he or she becomes the judge of the Christian teaching using the ruler of his or her ideology. To the person who is certain he or she is right, the threat is failing to consider whether or not he or she has wandered astray in relation to what God calls them to be. If the devil can persuade a person that only members of the contrary ideology can be deceived, that's a large part of the way to lead them into deception. 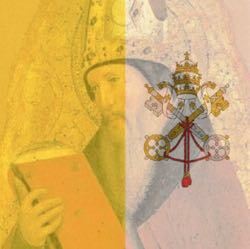 The refuge is to hold fast to the Church under the authority of the Pope. Christ the builder chose Peter as the rock on which He would build His Church. We believe that the successor of St. Peter is protected from teaching error in matters of faith and morals. Without such protection, no Christian could ever know if he or she was faithfully doing God's will or interpreting the Scriptures correctly. The person who tries to claim that the Church under the leadership of the Pope can teach error in matters pertaining to salvation is effectively denying Christ will protect His Church from error. Because that means Jesus would not be doing what He promised, that is a denial of Jesus' ability or reliability. To remain faithful to the Church under the Pope is not some sort of papalolatry. It's having faith in Jesus Christ. To believe that the Church has fallen or will fall is a sign of having lost faith in Jesus Christ. That's all an antichrist needs to do to deceive the faithful. Now mind you, I don't say this is HOW the end times will happen. But it is certainly a threat to souls that destroys faith in Christ without the person noticing that loss of faith.